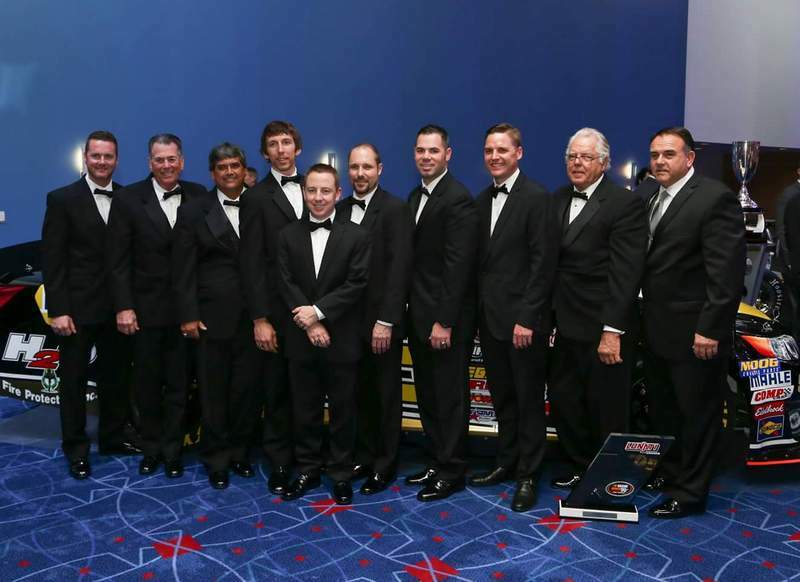 CHARLOTTE, N.C. (Dec. 12, 2015) – Chris Eggleston and the Bill McAnally Racing team took home the honors Saturday night after being crowned NASCAR K&N Pro Series West champions at the NASCAR Night of Champions Touring Awards at the NASCAR Hall of Fame Crown Ballroom in Charlotte, North Carolina. 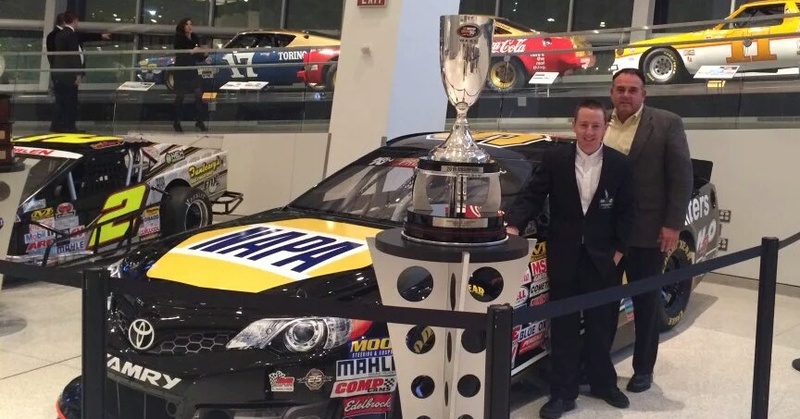 The ceremony highlighted a special season for BMR, as the team won its sixth championship, which tied a record for the series and for NASCAR’s Regional Touring level overall. 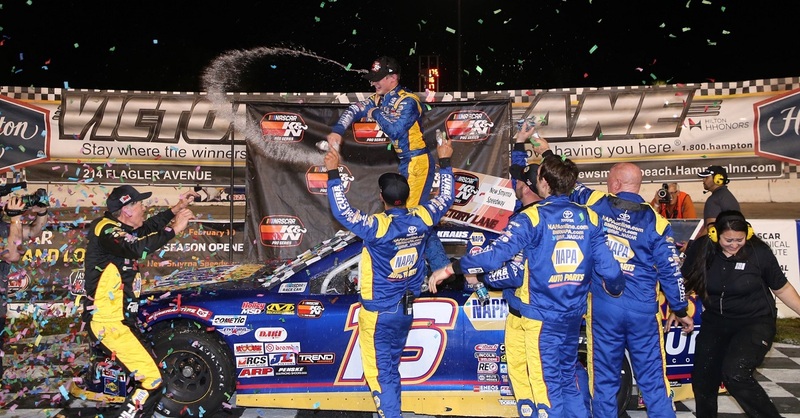 BMR also celebrated its 25th anniversary with NAPA AUTO PARTS as a sponsor. Among the championship hardware that was distributed on Saturday night, Bill McAnally was presented with the championship car owner trophy, while the championship crew chief award went to Roger Bracken. Mike Rearden, on behalf of NAPA AUTO PARTS; Paul Kortman, for NAPA Filters; and Paul Doleshal of Toyota were honored with the championship sponsor award. Eggleston drove the No. 99 NAPA Filters / NAPA Belts & Hoses / H2O Fire Protection Toyota to the title this year in his first full season of competing in the series. 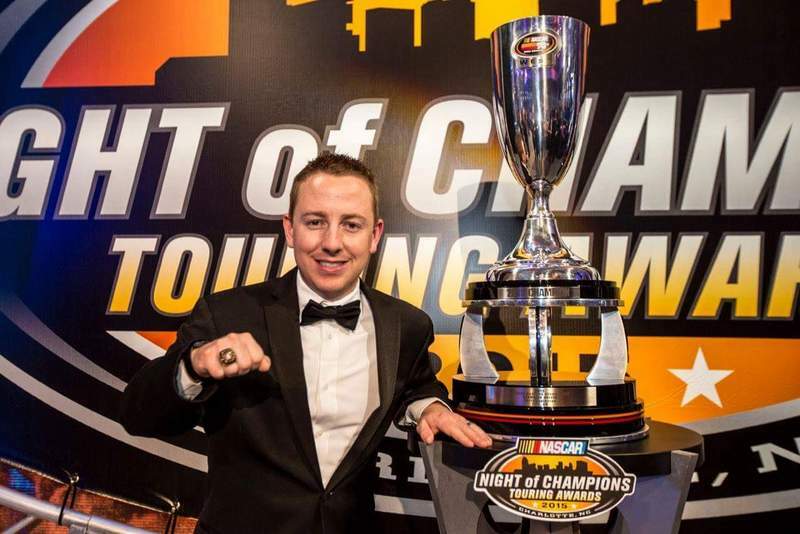 The 26-year-old from Erie, Colorado was presented with the championship trophy, as well as his NASCAR championship ring on Saturday night. He also expressed his appreciation to all the members of his BMR team. “I am happy to say you all have grown to be a part of my family away from home and I want to thank each one of you for your hard word, passion, and dedication all season long,” said Eggleston, who had two wins, nine top fives, and 11 top 10s in 13 races this season. McAnally adds the 2015 championship as a car owner to series titles he won in 1999, 2000, 2001, 2008, and 2010. 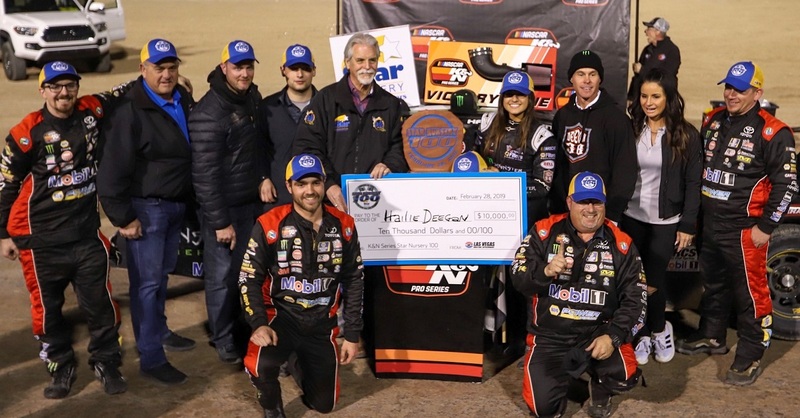 “Winning the championship this season was very special, as we celebrated our 25th anniversary with NAPA AUTO PARTS,” McAnally said. “Everybody on the team worked extra hard to make this happen. I thank them not only for their hard work, but for their dedication to BMR. 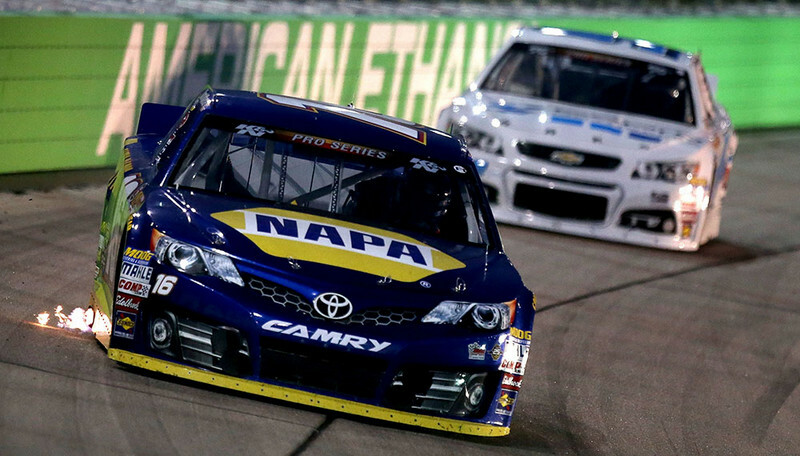 In addition to NAPA AUTO PARTS, NAPA Filters, NAPA Belts & Hoses, Toyota, and H2O Fire Protection; other BMR sponsors include NAPA AutoCare, NGK Spark Plugs, and Valvoline Oil. Besides Eggleston, BMR drivers Brandon McReynolds and Nick Drake also received trophies on stage during Saturday’s awards ceremony. McReynolds was presented with the trophy for finishing seventh in the final standings for the K&N Pro Series West, driving the No. 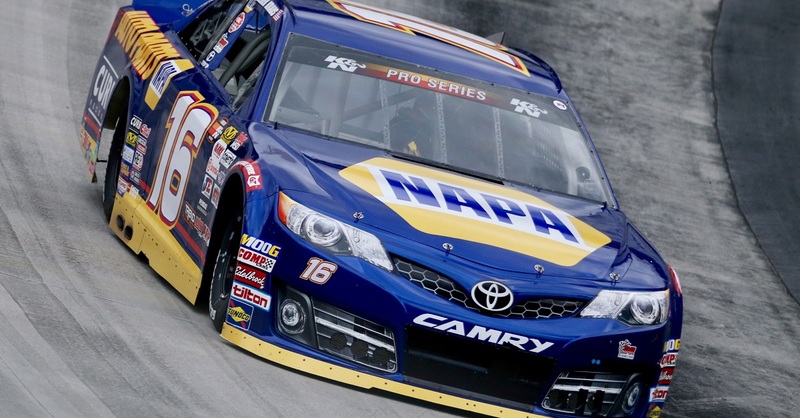 16 NAPA AUTO PARTS Toyota. Earlier in the day, the 24-year-old from Mooresville, North Carolina was honored with this year’s Driver Achievement Award in the series. 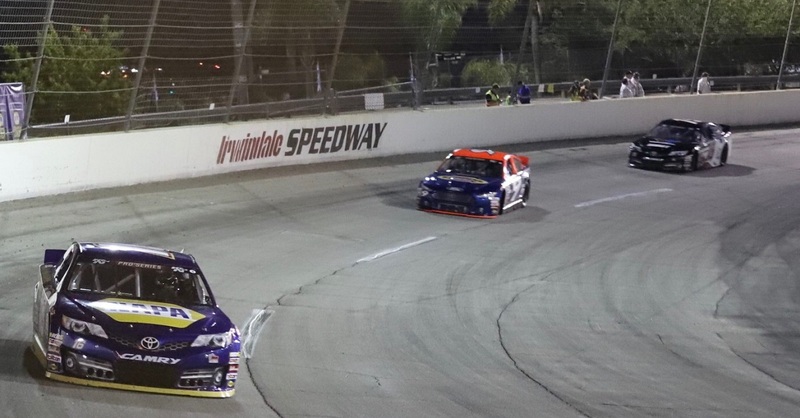 This season, McReynolds became the first driver with multiple wins in the prestigious K&N Pro Series East-West combination race at Iowa Speedway – sweeping both Iowa events this year. Drake received the trophy for finishing eighth in points in the K&N Pro Series East, as the driver of the No. 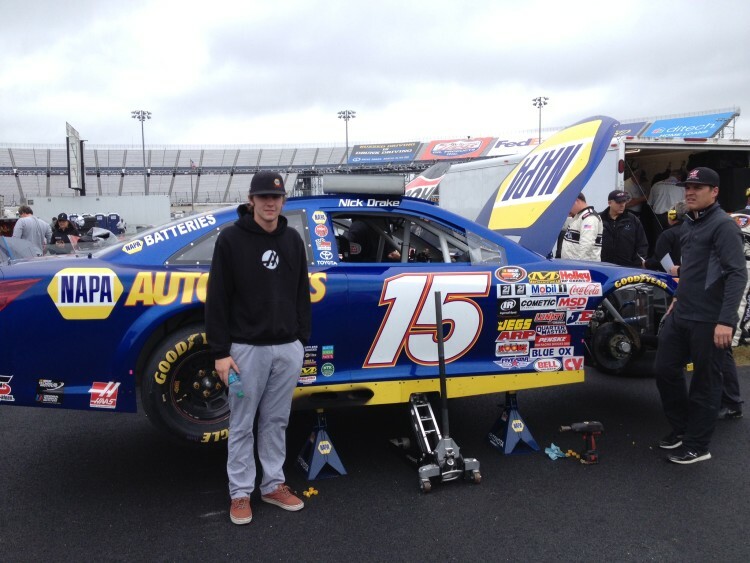 15 NAPA AUTO PARTS Toyota. Drake, 19, also of Mooresville, had two top fives and seven top 10s in 14 races this year.